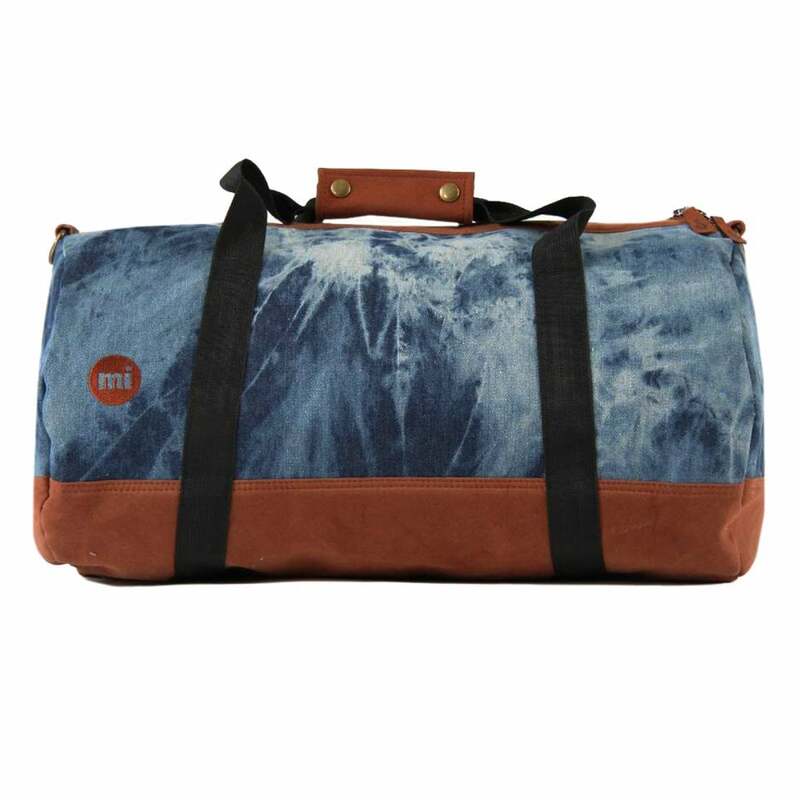 This zip fastened Mi-Pac Denim Duffel Bag has a 100% cotton outer and is dyed blue denim with brown faux suede trim. It has a main zip fastened main compartment, an inside pocket, carry handles and a removable shoulder strap. It has a 35 litre capacity. Mi-Pac branding appears on the shoulder strap.